Similarly, when a piezoelectric material is exposed to an electric field, it experiences a lengthening or shortening according to the polarity of the field, and in proportion to the strength of the field . where i, j, m = 1, . . ., 6 and k, l, n = 1, 2, 3. Also, S, D, E, and T are the strain, dielectric displacement, electric field, and stress, respectively. 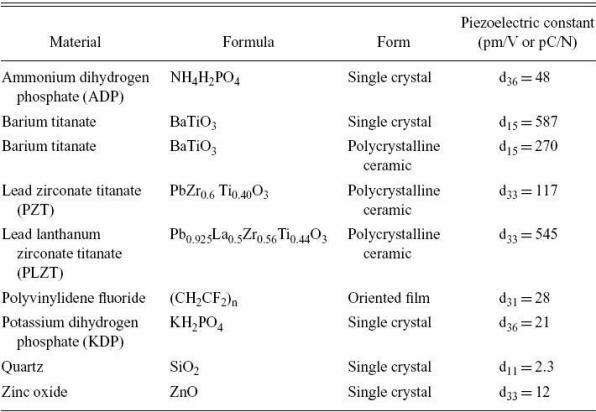 And sijE, dkl, and elnT are the elastic compliances, the piezoelectric constants, and dielectric permittivities. Since their discovery in the 19th century, piezoelectric materials have been used for a variety of applications, from power sources to actuators. In medicine, one of their main uses is in the field of imaging, such as in piezoelectric ultrasound imaging. This technology relies in the change of shape of piezoelectric materials due to an applied electrical current or sound/pressure waves hitting the material. Recently, new and potential applications have emerged for piezoelectric materials within the field of cardiology. This website will focus on two of these recent developments within cardiovascular devices, among which are: ventricular assist devices, and artificial heart valve sensors.